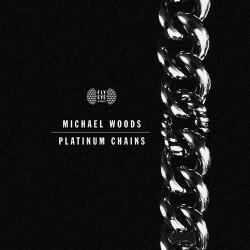 Michael Woods – "Platinum Chains"
One of my favorite artists, Britain’s Michael Woods, has released another crowd-pleasing track in the vein of his highly successful collaboration with Chris Lake, “Black Thong." While “Platinum Chains” doesn't share the “Atom”-like drop into a syncopated, minimal bass beat, it drives on with a stuttered synth melody and an extra large baseline that can only mean one thing: festival. Michael woods will be heading to Miami at the end of this week, and I must say that his party aboard the Mussette Yacht with Sandro Silva and Lucky Date sounds spectacular. Take a listen to "Platinum Chains" below, get tickets to Woods’ upcoming events, and, as always, be sure to support the artist how you can. Michael Woods devastates the dance floor with "Brain Went Ping"